As far as the construction industry in concerned, Italy is one of the powerhouses when it comes to the best designs and construction materials. Italian styles can are found in several places across the globe. In most cases, they are preferred to by those looking for executive and exquisite looks in their homes. The size of any tile will have a greater bearing on the final visual appearance of the tiled surfaces. The size of the tiles can also be used to create illusions of an additional space whenever there is a small room to be tiled. For instance, when a small space is tiled with slightly larger tiles, the room will appear bigger than it is due to the illusion created by the large tiles. Italian tiles are available in all manner of sizes and shapes. It implies therefore that they can be used for different kinds of applications within the building industry. 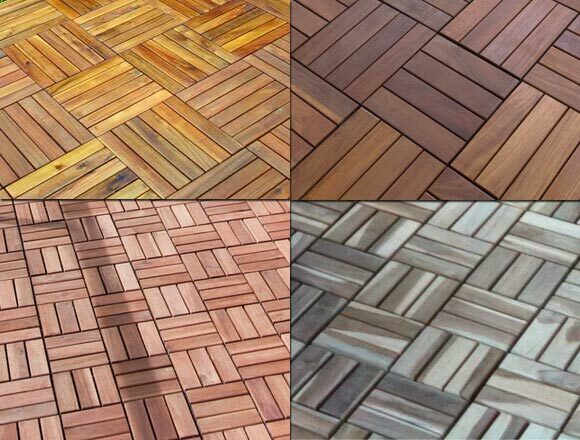 This is the kind of variety that is needed for the industry to come up with unique designs, either on the floors or the walls on which the tiles have been installed. Colors and aesthetics or visual appearance go in tandem. The superfluity of the available colours in Italian tiles is simply mindboggling. The tiles present you with countless choices of colors to choose from. For instance, there are glazed Italian tiles with different chromatic color ranges representing every basic color shade. With these color ranges, designers and home builders can effect different kinds of textures to meet their aesthetic appeals as well as the designs of their homes. Whether you need glossy or nonreflective surfaces, you will find a plethora of choices from the Italian tiles. The decoration component of the Italian tiles is one of the major aspects that set them apart from the other types of tiles. It is important to remember that decoration and colors are the main determining factors as far as the final aesthetic appeal is concerned. Italian tiles present you with endless opportunities for tile decorations. The current technology available for use in tile manufacturing has made it possible to get just any type of decoration on the Italian tiles. It is thus possible to customize the tile’s decoration so as to get specific patterns or pictures you need on the surfaces. This has essentially opened endless possibilities on what and where you can use the Italian tiles. Therefore, make Italian tiles your first choice if you are looking forward to endless unique decoration possibilities. Join the thousands already using these unique and high quality tiles in their homes. Click here for more Sydney Tiles information or more Tile Blogs. One of the threats that face most of the tiled floors, and not just Moroccan tiles alone is the tiny scratches arising from people walking on the floor with small particles on their shoe soles. But this can be easily avoided when you place mats on the doorways leading to the floors where the Moroccan tiles are installed. It will help to ensure that the tiny particles are deposited on the mat before they reach the tiles. For regular cleaning, use a mixture of vinegar and warm water and scrub gently with a soft piece of cloth. Use vacuum cleaners if you prefer, since this will not cause any damages. For removing tough and stubborn stains, scrub the spots gently with a mixture of water and bicarbonate soda. Avoid using abrasives, steel wool or hard brush on the surface of the tiles. Do not use bleaches or ammonia based cleaners since they are likely to eat into the tiles and destroy the colors and the patterns. Dragging heavy furniture on the floors is likely to cause cracks or very ugly scratches on the Moroccan tiles. It is thus advisable that you fix all the furniture placed on the floor with appropriate gliders so that they don’t affect the surface of the floors. Additionally, avoid having items with lots of weights placed on the floors. They may increase the tension and cause the tiles to crack or break. Similarly, avoid dropping heavy objects on the tiles. It might also help to install rubber protectors on the furniture legs to avoid any scratches that might arise due to very small movement of the furniture. Just like heavy furniture with no gliders, dragging items across the floor will cause cracks in the tiles. If you need to move an item from one place to another, carry it then place it down gently to avoid causing damages to the floor. Also, avoid walking with spiked heeled shoes on the floors. Use these tips to get the best out of your Moroccan tiles. There are no universal types of tiles that will suit the needs of each and every homeowner. Everybody has unique tastes and preferences when it comes to styling their homes. Many people, however, tend to choose tiles oblivious of their needs and lifestyles. In most cases, many base the purchases on the aesthetics of the tiles without considering if they will serve their purposes in the home while at the same time complimenting the interior décor of the house. To avoid this mistake, know exactly why you need the tiles and ensure that they enhance the beauty of your home. Hundreds of tiling companies are out in the market craving for your attention. They use different marketing gimmicks to ensure that they get you on board so that you can purchase their products. You need to watch out for them because most of their products never live up to the claims they make. Also, be careful about “Buy one get two free” offers. Be aware that the cost of the “free” is usually hidden in the overall cost of the product. You can avoid these marketing gimmicks by dealing the reputable tile brands or working directly with your contractor since they may have recommendations on the best suppliers whose tiles you can trust. Tiles are made from different materials hence they are all of different qualities. This is a fact that many buyers are never aware of, and quite often, they choose the tiles based on the design and the outward beauty, without any due consideration to the tile material. If you don’t want to choose poor quality tiles for your home, let a flooring expert accompany you to the shop when you go to make the purchase. 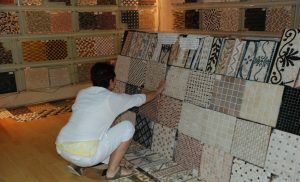 If this is not possible, interrogate adequately the qualities and the features of the tiles from the sellers before you finally make a commitment to buying them. Most people walk into the tiles stores with “some money” looking forward to purchasing the best tiles for their homes. This is very dangerous! They have no idea of how much they are willing to spend and most likely; they don’t even know the kind of tiles they want. A budget will not just help you determine the amount of money to spend, but also help you understand the type of tiles you can get with the amount of money you have. Use the help of a professional tiling expert to help you decide on the right tiles as well as the budget so as not to be a victim of this. Most of the flooring tiles leave a lot to be desired with regards to their variety. They leave you with a limited range of options to choose from. Travertine tiles, however, presents you with a wide variety of styles and colors which are guaranteed to meet your particular tastes and preferences as far flooring tiles are concerned. The schemes available range from white to dark shades with different pattern and color options to satisfy your needs. If you thought that the benefits of travertine end with the variety of styles and options, then wait until you learn how travertine tiles can create bold looks it the homes on whose floors it has been installed. 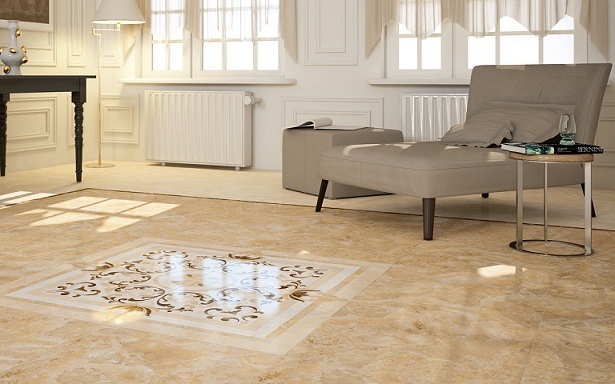 The stone is blessed with natural veining that creates unique types of patterns on the tiles. These in turn create unique, elegant and bold looks that no other natural stone tile can create. 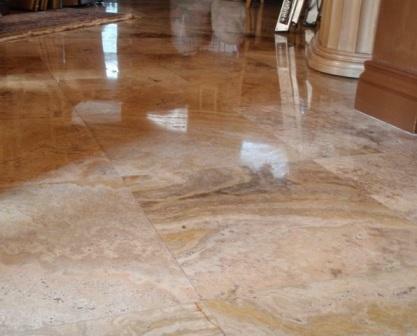 In appearance, you might mistake travertine for marble or porcelain. But when it comes to fixing and installing, travertine tiles is far much easier to work with compared to the two. Travertine is also far much affordable and easily available in comparison with marble or porcelain tiles. Suppose you want to do repairs or minor floor renovation, you will realize that it’s to find a travertine floor that matches your current flooring hence saving you a lot of time and money in the process. Marble and porcelain on the other hand are difficult to find the ones which match if you needed a quick fix. The installation of travertine tiles is also much simpler. They are easy to cut and shape, and this is a major advantage compared with either marble or porcelain. The current trend in the construction industry and many others is “Going Green”. People are more concerned about the effects of their actions on environment hence they are keen on using products that will have fewer impacts on the already fragile environment. Since it is a natural material, travertine is environmentally friendly hence doesn’t bring any harm to the sensitive ecosystem. Porcelain on the other hand undergoes a manufacturing process hence it’s not purely natural from an ecological perspective. It is however important to point out that travertine tiles is not all holy! It has certain less desirable characteristics, and you also need to know about them as well. It is a bit porous and can catch etch especially when installed in the kitchen. Besides these, it is an ideal tile that will give you lots of advantages if installed properly on the floors. Click here for more Tiles in Sydney information or more Tile Blogs. The size of the tiles used on the kitchen wall should ideally be dictated upon by the size of the kitchen wall itself as well as the section to be tiled. The norm is that a smaller space should utilize larger tiles to create an illusion of more space in the room. Traditionally, however, kitchen walls are tiled with 100mm square tiles but recent trends have witnessed the growth in popularity of rectangular tiles resembling brickwork. Again, if you plan to tile just a small section of the wall, then small sized tile will work just fine but if you intend to tile the whole wall, then slightly larger tile would give better results. The shape and the layout of the tiles can be used to create varying effects on your kitchen walls. Depending on your personal preferences and the existing interior décor of your kitchen, make a choice on the particular shapes and layouts which will blend well with the current décor of the kitchen without the need for a lot of modifications. For instance, you can use a plain square layout and introduce a contrasting color with small mosaic or rectangular tiles. In most of the times, the color of the kitchen wall tiles is driven by fashion rather than the functionality. Before you decide on the final color, it is important to consider a few factors to enable you make the right choice. For instance, are you looking to paint the wall with a new color, or are you doing a complete decoration or do you want your wall tiles to match the floor and other accessories in the kitchen? Most people, however, prefer that the color of their wall tiles in the kitchen be in tandem with the color of the countertops and the units. Finally, you need to think about the textures and finishes for your kitchen wall tiles. Luckily enough, there are hundreds of textures and finishes you can choose. The primary concern is that the choice you make should be in line with the overall design scheme of your kitchen. For example, there are particular textures and finishes that will work well with Victoria kitchens while other will give amazing results with country style kitchens. But if you are a bit conservative and you don’t mind much about textures, feel free to use matte or high gloss textures for your kitchen wall tiles. These tiles are available in a wide variety of colors, designs, shapes and sizes. They are durable, fade resistant and scratch resistant. Due to the fact that they are available in a number of designs, ceramic tiles are very good in complementing almost any kind of furnishing or décor. Their flexibility allows them to be used on floors and walls. You will find these types of tiles installed in places such as bedrooms, kitchens, bathrooms, lounges etc. Inkjet tiles are modern type of tiles which provides consumers with the value in the longest term at affordable costs. The inkjet technology makes it possible to have high definition patterns on ceramic and porcelain tiles. 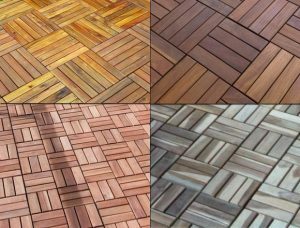 When this technology is used on the porcelain or ceramic tiles, it makes the tiles look like wood or natural stone tiles. Consumers are thus able to get durable and high quality tiles without the expenditure needed for real wood or the natural tiles. These types of tiles are made from natural stones and they include varieties such as granite, sandstone, natural marble, travertine and slate. Natural stone tiles have different appearances and it will interest you to note that they are a worthy investment since they will never fade in color during their entire lifetime. They also offer a great variation when it comes to pattern and styles. They are durable and resistant to weather agents such rain and sunshine. The flexibility they possess also allows them to be installed both for indoor and outdoor applications. Porcelain tiles are a product of ceramic materials which have been fired at very high temperatures. Due to this feature, they offer good resistance to moisture, abrasion and frost hence are very suitable for use in the outdoors. They can also be used in areas that receive high traffic such as kitchens and bathrooms. It is however important not to polish the surfaces of these tiles for outdoor use since this might reduce their slip resistance and make them cause injuries. Mosaic tiles come in a variety of materials including natural stone, glass and metal. Their main use is to enhance décor by bringing out texture and color to any wall which they are installed. The most common type of this tile is the glass mosaic that is readily available, easy to clean and gives instant vitality when installed on any wall. Without a budget, you are likely to pick any tile that the seller throws your way. You have no idea of what you are willing to spend hence you can’t even determine what kinds of tiles to consider. Remember, there are different tiles made from different materials and they all have varied pricing. The price is determined by the quality and the design of the tiles. Spare yourself the embarrassment and the inconvenience of walking into the store without knowing how much you want to spend on the bathroom tiles. The main reason why people install bathroom tiles is to increase the functionality and the aesthetics of their bathrooms. The right choice should complement or add to the existing looks of the room. However, some people will choose just any type of tile without considering the design or the color of the tiles. The result is a complete mismatch leading to a dull and gloomy bathroom. The slip resistant is an important factor in the choice of bathroom tiles because it is tied directly to the safety aspects of the room. Since bathrooms are exposed to lots of soapy water, the floors are likely to be slippery if not dried properly. A common mistake that many homeowners make when choosing tiles for their bathroom is to ignore slip resistance of the tiles and consider only the aesthetics. Remember, you’d rather be safe in an ugly bathroom than break your ankle in a beautifully designed bathroom due to slippery tiles. 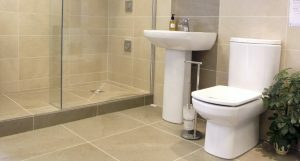 Underestimating the quantity of tiles needed for the whole bathroom is a common mistake people make when they don’t involve a tiling expert to help them get the right estimates. They end up buying more tiles hence wasting money or buying few tiles leading to incomplete installation. Unless you are a tiling expert, simply seek the services of a tiling expert to avoid this problem. The appearance of tiles on display is completely different when the tile is finally installed. The tile might look very nice when on the stand but you may not like what you will see once the installation is complete. It is therefore recommended that you ask the seller to show you samples of when the tile has been installed. In this manner, you can tell from the photos whether or not you will like the result once the installation is complete. Watch out for these common mistakes and you will choose your bathroom tiles like a pro.